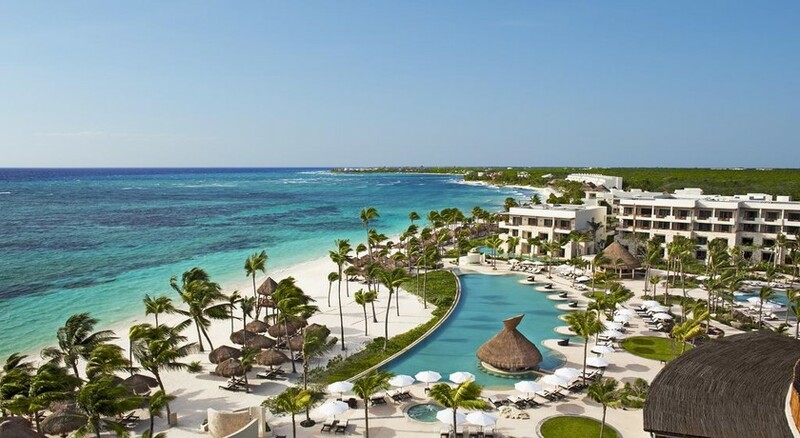 Secrets Akumal Riviera Maya, located strategically in the heart of the Riviera Maya surrounded by clear turquoise waters and gorgeous white-sand beaches is an adults-only all-inclusive resort offering a charming, picturesque escape with signature Unlimited-Luxury® experience. Favoured as a top snorkelling destination, this oasis of luxury allows you unlimited access to delicious à la carte dining at its famed restaurants sans reservations, unlimited drinks, pool & beach wait service, stocked minibar, indulgent spa treatments and access to all activities and entertainment. Plus, while you are there, brag about your exploits to friends and family with unlimited Wi-Fi and calling to North America. Guests may upgrade to Preferred Club, an immersive luxury experience for palatial rooms and matching service. Secrets Akumal Riviera Maya is located in Riviera Maya and can be reached by a few steps from the beach. 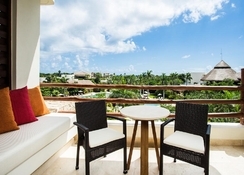 The lively resort of Playa del Carmen is a 30-minute drive away. Cancun is just a 75-minute drive from the resort. The nearest airport is Cozumel International Airport at 54.7km. 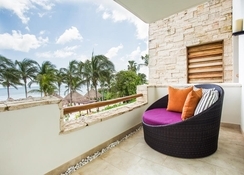 Secrets Akumal Riviera Maya has tastefully furnished suits that provide guests with unparalleled luxury living along with the desired privacy. The 434 spacious rooms come with double or king beds, sofa, a desk, an outdoor seating area, a flat-screen cable TV, minibar, en-suite bathrooms featuring hot tub, spa bath & shower, hairdryer and free toiletries. 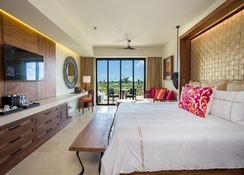 Rooms come in types of Junior Suite Tropical View, Junior Suite Partial Ocean View, Junior Suite Ocean View and Junior Suite Swim Out. Preferred club members can avail access to enhanced suites such as – Preferred Club Junior Suite Tropical View, Preferred Club Junior Suite Ocean View, Preferred Club Junior Suite Swim Out, Preferred Club Junior Suite Ocean Front, Preferred Club Junior Suite Swim Out Ocean Front, Romance Master Suite Ocean View, Romance Master Suite Ocean Front and Presidential Suite. 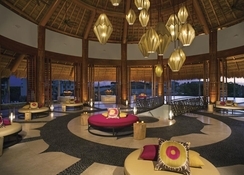 Take a culinary adventure around the world at the Secrets Akumal Riviera Maya. Expert chefs serve up delicious dishes made from the freshest ingredients in luxurious ambience at this property. The Unlimited-Luxury® privileges include all meals for guests as well drinks and 24-hour dining and room service. Check out the Market Café for a buffet of international fare, Bordeaux for French cuisine, El patio for Mexican, Portofino for Italian, Himitsu for Pan-Asian, Oceana for seafood and Seaside Grill for some excellent steak. Guests may ask for vegetarian and gluten-free menus. 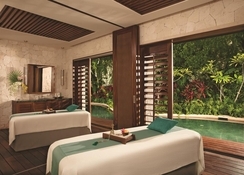 At the Secrets Akumal Riviera Maya, guests can enjoy numerous recreational activities. They can play a game of tennis or roam around on loaned bicycles. There's a games room with various indoor games. Several water sports activities available at the beach, including snorkelling with green sea turtles, as well as kayaks paddle board, aqua spinning, water aerobics, pool volleyball, water polo, scuba diving tour*, deep sea fishing* and sport fishing*.